We create dreams and we design your dream dress to be perfect for the happiest day of your life. Dorin is one of Israel's venerable designer in the field of bridal gowns. Studio Dorin is characterized by a warm and professional atmosphere, in a clean and elegant line, the designs are tailored to each bride personally, with the possibility of changes. Since 1986, Dorin Wedding Dresses Design, has become on the the most prestigious names in bridal industry in Israel, Our wedding dresses are a brand. Our collection is presented by exclusive fabrics, handmade work - Haute Couture, and we always add a special charm to all dresses. If you would like to be the most beautiful bride of your wedding day, you came to the right place, we pay close attention to every detail to make sure you would attract everyone's as you walk down the aisle. Our guiding principle in designing a wedding dress is adherence to quality, originality, innovation and a high level of finish. The luxurious fabrics imported from Europe combined with meticulous handwork on each wedding dress give a luxurious and rich look while maintaining the elegant and classic line that characterizes Doreen's wedding dresses. The investment in suitable sectors, design elements, unique fabrics and high stitching make us - Dorin, the highest level in designing wedding dresses. Want to be perfect in your white dress? Do you have a dream to fulfill? That's what we're here for, to make you a queen. 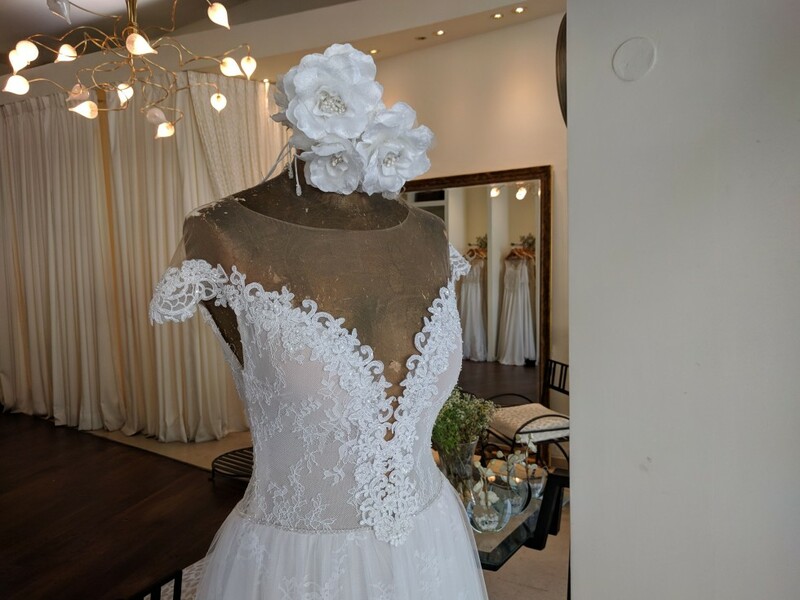 Our gowns give each bride a luxurious look at an affordable price, each dress is hand sewn with an emphasis on fit, we specialized in Au De Couture upper stitching with quality strictness and personal touch. When you step into our studio for the first time you will feel the warm atmosphere around you, we welcome each bride with a smile and tremendous intention in order to make you feel comfortable and glamour in the happiest day of your life. All of our wedding dresses are custom sized, exceptional size or shorter length will be considered as a custom order. As a family business we give every bride our full attention. Owned and operated by Miriam (Maria) Goren, our top level fashion design Dorit Goren and our Stylist, Pazit Sherf. We explore and give each bride a personal aesthetic touch to find the most perfect dress for her silhouette. 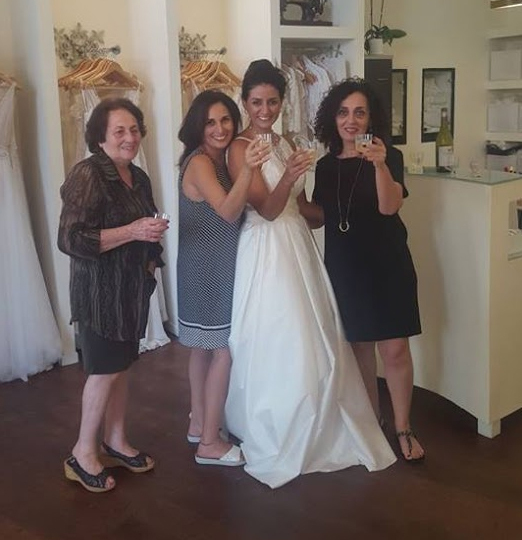 Our stylist, Pazit, is accompanied every bride from initial try-ons to final fitting, she gives a single, personal contact for to make the wedding gown process enjoyable as can be. We would love to build a collaborative, successful process with you and we proud to offer our wedding dresses products around the world, our customers come from all over the world and our plan is to expand our involvement in France for the year 2019. We would be happy to have an opportunity to work with you, and look forward to a successful working long term relationship.